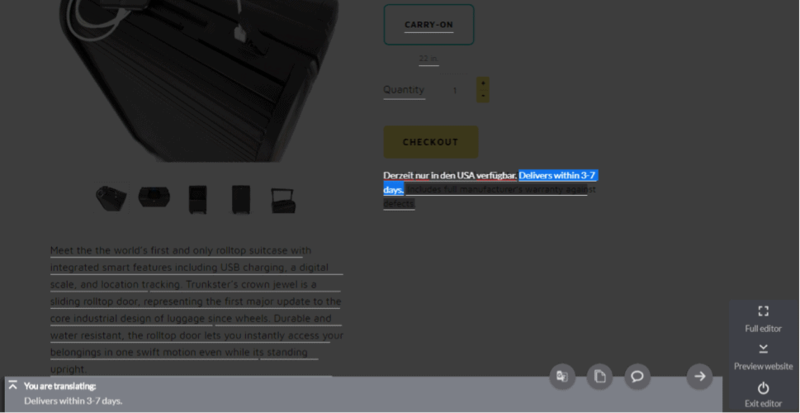 How To Translate Your e-Commerce Website? You probably have an E-commerce that grows like crazy, because obviously, you sell best quality products! Let’s imagine that luckily it already brings you the revenue and now it gets international. Do you want to get everyone interested in your product? Of course, you do. But remember, in global marketing, putting yourself out there is not anymore an option, but rather a necessity. 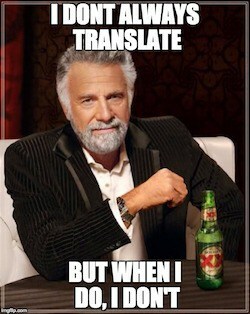 Which probably means that your E-commerce really craves proper translation! Not only because you ship your product worldwide, or your service goes global but also because you want to keep growing and crossing the boundaries. Let’s take as an example a giant in E-commerce, well-known and respected for their functionality Shopify. As much as it is a great platform, it also lacks straightforward and simple support for translation of multilingual sites! How come, Shopify? And let’s not forget that translating a product page into Chinese or Hungarian is not as simple as passing it to Google and using their (often very imperfect, to be delicate) machine translation. It gets even more complicated as good written language comes along with idioms, analogies and metaphors. On your E-commerce, the language is supposed to first appeal to emotions, then sell. Never forget about it! Would you buy from an online shop translated into your native language by Google Translate? Imagine that! Come on, it almost sounds like a really bad meme. 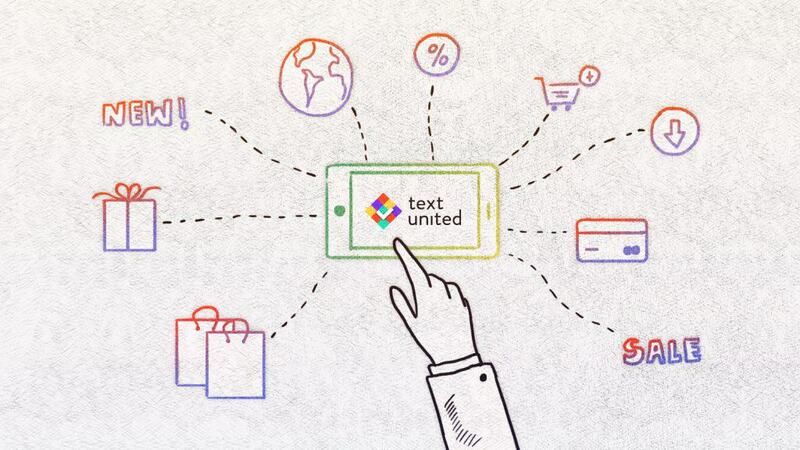 Now, at Text United, E-commerce translation enables easy and straightforward process, whether you’re translating yourself, or you pass it to someone from your team or to one of our translators, where our project managers will assign a professional translator from our database of verified translators. How? With our mission, we fully bet on being dynamic! Our vision of E-commerce translation: it’s simple, dynamic and clean. And we did it! 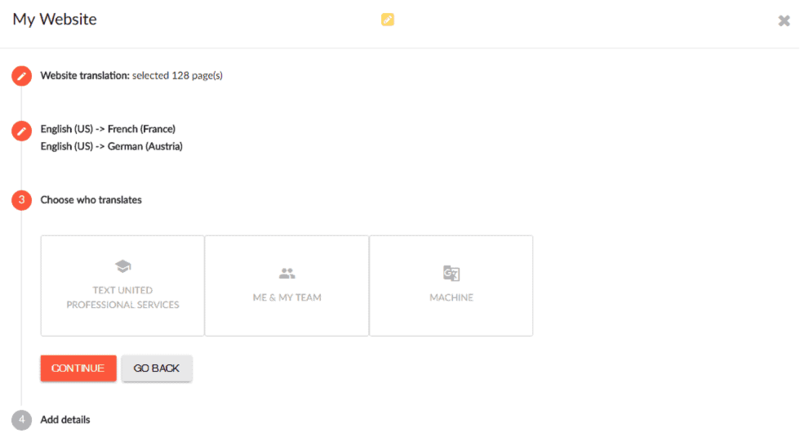 When you connect your platform to our system, it will extract all of the content from your E-commerce and dynamically make it editable. You just click on it and it behaves just as if it was a Word file! This enables you to translate in-context instead of going through strings or using third-party plugins. We all know that these often have confusing methods. Just to remind you, Translation Memory is an absolute essential in an operational toolkit for the localization field and Terminology Management keeps your work nice and tidy. And enabling just the manual translation of your website without the benefits of Machine translation, Translation Memory and Terminology doesn’t seem like an easy task, either, right? Setting up a translation project for your E-commerce is ridiculously easy, too! What you actually need to do is to simply connect your website, wait until the scanning is finished, choose your target language, and the person translating.In case you are translating yourself, the Website Translation editor will help you translate in-context right on top of your E-commerce and preview your website in real time as soon as you enter a translation. Ah, you can translate the content from the images with a little help from us, too! Go Ahead, Conquer The World of E-Commerce! Gosia loves copywriting and product translation. Additionally, she's a content marketing and lolcats junkie. How Can TMS Help You Achieve Global Success? How Can Localization Help Startups Grow?